A new editor has taken over at three sister weeklies following the retirement of his long-serving predecessor. Archant has appointed Andrew Fitchett as editor for its ‘coast’ patch, and he will oversee the Great Yarmouth Mercury, Lowestoft Journal and Beccles and Bungay Journal. Andrew’s role also sees him take repsonsibility for all content from the coastal patch for the Eastern Daily Press and Norwich Evening News. His appointment follows the retirement of Anne Edwards after 48 years in the regional press, including 16 with Archant. Andrew, pictured, has been with Archant since 2013, and spent three years prior to that as a journalist with the Bury Free Press. He had previously served as an editor on newsdesk at Archant’s head office in Norwich, where he was responsible for video and images. 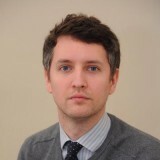 EDP editor David Powles told HTFP: “Andrew has proven himself to be a highly-talented and dedicated journalist in a variety of roles in our newsroom. It seems unthinkable to me that one ‘editor’ has been put place in to oversee three once popular and high selling weekly papers, each previously having had their own editor and subs such was their importance in the communities and to the company. However their rapid demise in recent years means they now sell pitiful few copies between them so I guess none warrant the attention or investment any longer. I just hope his recent experience in ‘video and images’ helps somehow in his new role and can only wish him every success. @ Norridge. Agree. The editor of the Johnston Press Scarborough ( formerly Evening) news has just taken early retirement and a new editor has been appointed who will have responsibility for papers between that one on the coast and Halifax. Beggars belief. Past reviews of Archant editorial processes – there have been many since 2006 – have suggested combining some of the weekly titles. Can still see that happening – the Central and Norfolk Norfolk News plus the Great Yarmouth Mercury and Lowestoft Journal would be my bet. Either that or all the weeklies simply become frees, to be picked up at selected locations rather than actually delivered through doors because of the costs involved – given that I never ever get a copy of the Norwich Extra. With the best will in the world to newly appointed “Editors”….its called managing the decline………………. The usual spiteful and bitter comments from the regular posters I see. Not even one word of well done or encouragement – just about sums up the level of constructive comments made by the people on here day after day. I’d hate to think how they react when a son or daughter tells them of a promotion. ‘Yeah, that’s fine, whatever, but things aren’t as good as they were in my day son/daughter so don’t know why you bother’. Well done Andrew. Well deserved I’m sure and best of luck.